Edgar Degas was born into a wealthy Parisian family in 1834. He was educated at the prestigious Lycée Louis-le-Grand in Paris, and even enrolled in law school, but soon left in order to pursue his dream of becoming an artist. 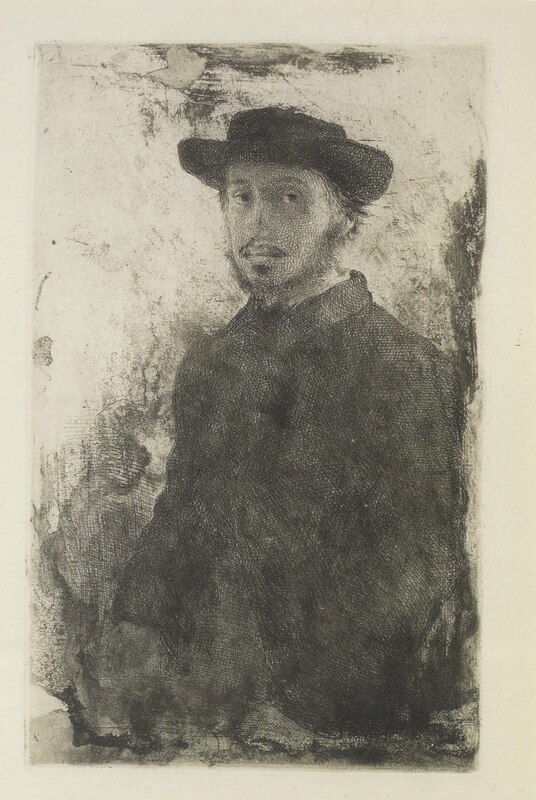 Though accepted to the Ecole des Beaux-Arts, there is no evidence that Degas ever attended, and three years after graduating from school Degas traveled to Rome to study art at the Académie Française. Upon his return in 1859, Degas began a successful career as an artist, which lasted just over a half a century. He passed away in 1917 in the same section of Paris where he had been born. Degas aspired to be a history painter early in his career, taking after academic painters such as Ingres. Ultimately, however, he focused more on contemporary subject matter, such as cafés and individuals such as laundresses and milliners. Later in his career, he even spent much time on the controversial depiction of prostitutes – often bathing. Other favorite subjects of his include jockeys and dancers. Interestingly, racetracks and ballet performances were both settings populated mainly by the elite, giving Degas' work a sense of luxury and glamour. They also both evoke action and entertainment, making them ideal subjects for Degas’ preoccupation to portray the human body in motion. Though Degas is often referred to as an Impressionist, he did not associate himself with the Impressionism movement. However, Degas contributed to many of the exhibitions of the Impressionist movement, causing a debate among art historians concerning his true classification. Degas himself would probably describe his paintings as Realist, with some of his later work qualifying as Post-Impressionist or Symbolist. Regardless of the variety of labels he has been given, Degas has become famous for his paintings, sculptures, prints, and drawings – without a doubt, he was an artist of many mediums. Degas’ multi-faceted career has always inspired and fascinated me. I didn’t discover Degas until I visited the Musée D’Orsay several years ago, where one of his dancer sculptures was on display. 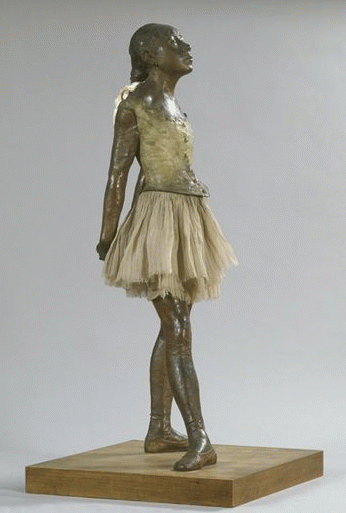 The metallic ballerina was outfitted in a real tulle skirt and satin ribbon, and Degas’ use of contrasting materials intrigued me. However, despite the vast range of materials Degas worked with during his career, his aptitude for drawing and his use of study drawings in preparation for paintings and sculptures have helped to give his work a distinctive style. 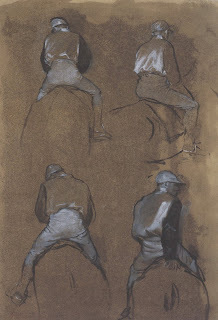 The techniques utilized by Degas in his drawings seem to strongly suggest motion, with fluid, sweeping strokes giving his figures a powerful sense of mass. 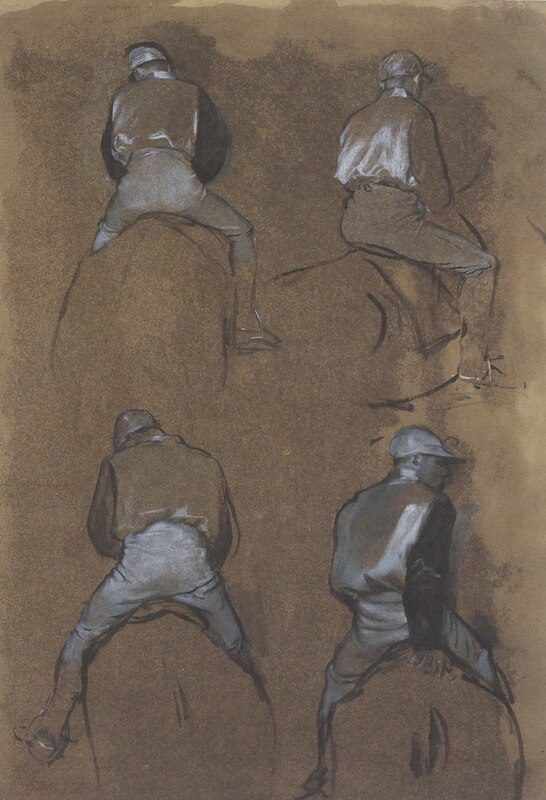 However, in drawing his figures, Degas did not create a sculptural effect through a process of laborious shading. Though he did sometimes choose to fill in areas with hatching, more often than not Degas used sharp, dramatic lines to create a heightened sense of light and dark. 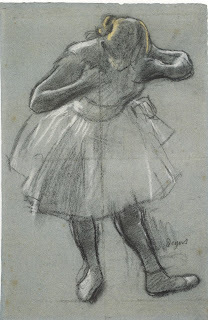 Degas also used a variety of materials, but in his drawings he seems to favor charcoal and pastels. 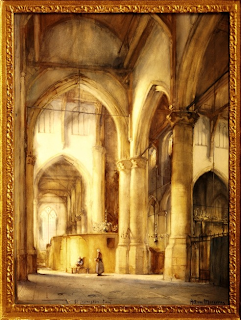 He experimented with many different techniques for shading in his sketches, such as using both dry and wet pastel, or using gouache and watercolors to blend the heavy contours of his figures. While certainly an excellent draughtsman, Degas is just as well known for his innovative style as he is for his actual skill. His drawing style, in its own way, is even unique from his painting, sculpting, and printmaking styles. His approach has an air of spontaneity. 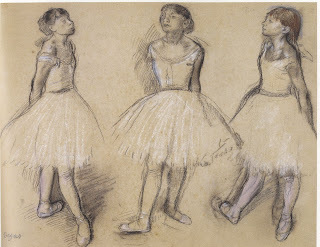 For example, in some drawings, the bodies of Degas’ subjects are blatantly distorted or disproportionate. Degas also experimented with leaving behind evidence of reworking his drawings, with marks and smudges indicating the changes he had made throughout his artistic process. 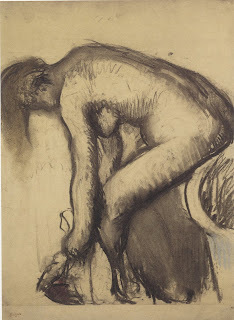 Finally, Degas’ often scribbled, using messy, wayward lines to fill in dark spaces. Degas’ unconventional techniques, matched with his unconventional subject choices, have helped make his art so memorable. His exploration of drawing as a medium greatly influenced the style of his sculptures and paintings, as well, both of which were very influential on the progression of their relative genres. Boggs, John Sutherland. Degas. New York, NY: The Art Institute of Chicago, 1996. Print. Lipton, Eunice. Looking Into Degas: Uneasy Images of Women and Modern Life. 1st ed. Los Angeles, California: University of California Press, 1986. Print. Schenkel, Ruth. "Edgar Degas (1834–1917): Painting and Drawing." Heilbrunn Timeline of Art History. Metropolitan Museum of Art , 2011. Web. 1 Mar 2011. .
Thomson, Richard. The Private Degas. New York, NY: Thames and Hudson, 1987. Print. "Petite Danseuse de Quatorze Ans." Musée D'Orsay Index of Works. Web. 1 Mar 2011. .
All other images found in John Sutherland Bogg’s Degas (see Works Cited). One of the first artists to value originality, Albrecht Dürer believed that an artist had to pour out new ideas and break from convention. An early 16th century artist from Nuremburg, Dürer is revered today for his invention in print making and painting, yet I find his study of drawing most impressive. 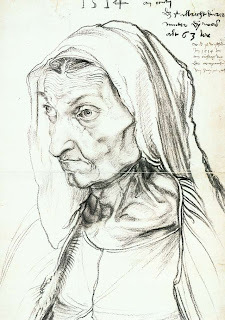 Dürer helped to establish the linear 16th century style of drawing, using line not only to show contour but also mass. Holding his brush too tight and afraid of error, Dürer had trouble with painting. It was with printmaking and drawing that he was comfortable. 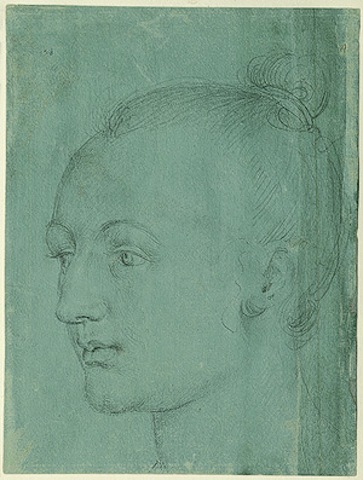 For Dürer, drawing was not only a planning method, but also a way to keep track of personal thoughts. He included captions and written words among his work detailing experiences, techniques, and emotion. Dürer used many drawing mediums: lead, chalk, silverpoint, yet pen consistently remained his favorite. Constantly carrying around either a pen or chalk, drawing became a way to express his state of mind – he spent a lot of time drawing those around him. 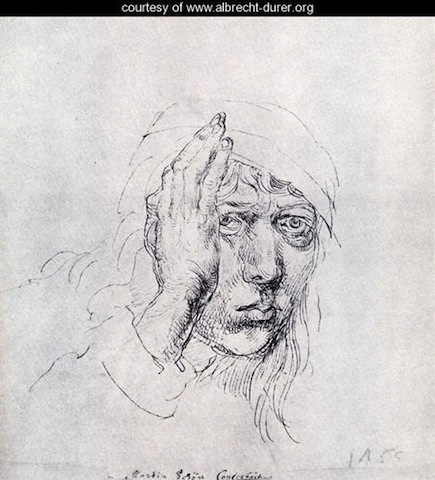 For example, he drew his mother on her deathbed. Dürer commented on her state before and after death. His sketch is emotional yet at the same time blatantly analytical about the situation through his realistic depiction and comments. This reflects his constant desire for realism. 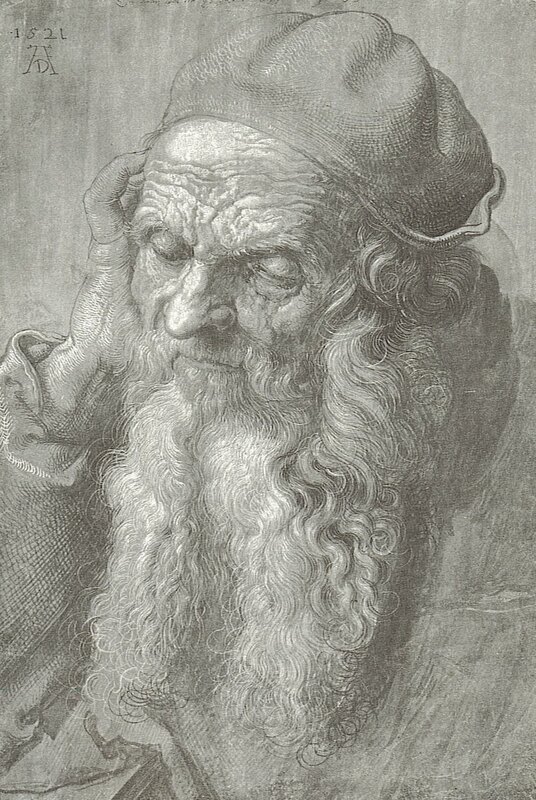 Constantly curious Dürer spent much of his life traveling to gain inspiration and learn from previous artists. Spent a lot of time copying figures from previous works, particularly Italian artists. 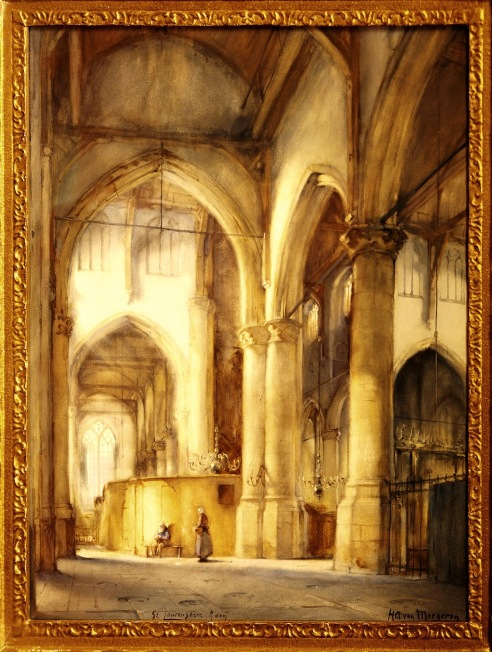 Through these he practiced perspective and movement within forms. One notable example is his version of “Abduction of a Woman” – from which he practiced the forward lunge. 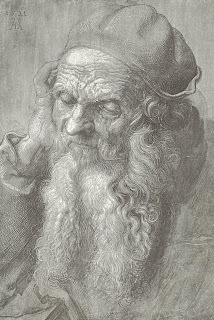 Later in life when Dürer became focused on painting, he would complete detailed study drawings as guides for his final work. These detailed drawings such as those made for St. Jerome in Meditation have become works themselves due to the intensity and labor he devoted to them. Dürer devoted a lot of time to mastering techniques such as the anatomical proportions of the human figure. In his sketchbooks he provided comprehensive guides, sometimes critiqued as too formal, to impart the knowledge of drawing that he had learned to others. He wished that he had been able to learn from the knowledge of previous masters before him, and sought to leave a guide behind to train future artists. 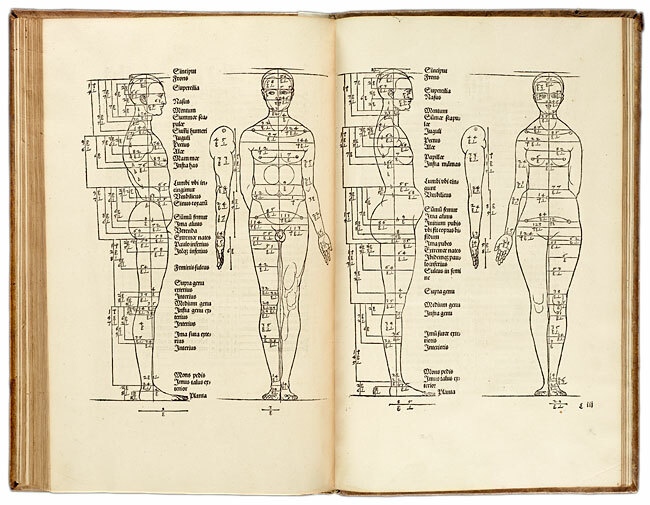 His guide is referred to as the Four Books on Human Proportions, which explain his take on anatomy and movement. Dürer’s extensive and exhaustive efforts to the mastery of drawing have impacted drawing as a medium today. Strauss, Walter L. The Complete Drawings of Albrecht Dürer. Vol. 5. New York: Abaris, 1974. Print. Human Proportions. 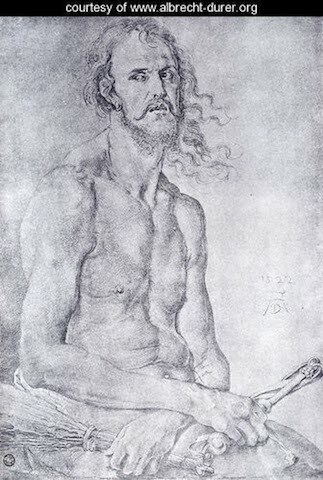 Strauss, Walter L. The Human Figure By Albrecht Dürer. New York: Dover Publications, 1972. Print. White, Christopher. Dürer The Artist and His Drawings. New York: Watson-Guptill Publications, 1971. Print. Wolfflin, Heinrich. 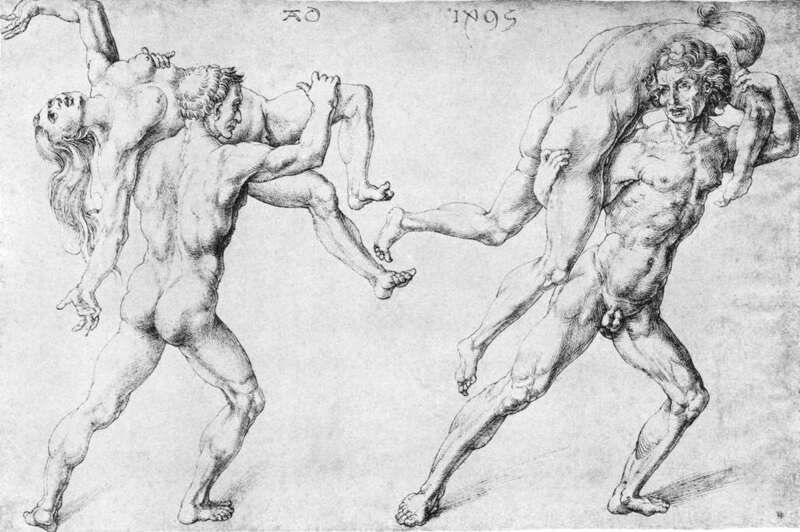 Drawings of Albrecht Dürer. New York: Dover Publications, 1970. Print. Banksy a notorious British graffiti artist has been an influential figure in the art world. He has contributed to reviving street artand combining visual images with a powerfulmeaning. 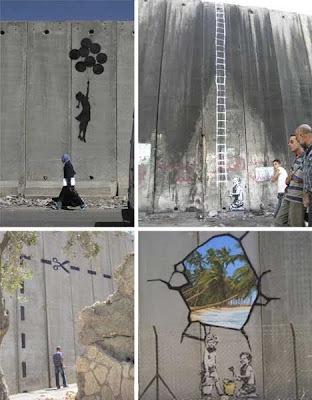 Banksy appealed to me because of his unconventional approach to art. His work has been seen all over the worldand his drawings and graffiti art are relevant to current political and social situations. 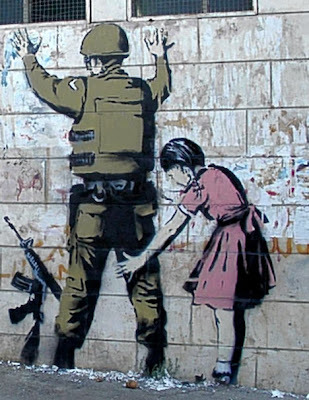 The most compelling part is that Banksy’s identity remains anonymous, making his work even more mysterious and popular. 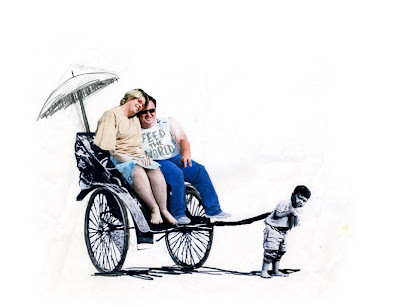 Banksy grew up in a smallcity in southern England. He was the son of a photocopier technician and trained as a butcher but became involved in graffiti during the great Bristol aerosol boom of the late 1980s. Hiswork is compared to Blek le Rat, the renowned godfather of stencil graffiti art. 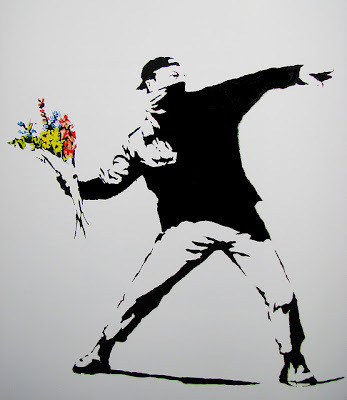 Banksy’s work is influenced by le Rat’s style does some free hand drawing work and graphic design but his drawing are mostly done with stencil techniques. His explanationfor using this technique is to be able to work fast and avoid getting caught by the cops! Old man: You paint thewall, you make it look beautiful. He is an artist that makes good use of space, his environment, and uses visual images to raise questions on valid social issues. He has been described as an inspiration in the art world and has contributed to starting a political and social movement with his street art. Fairey, Shepard. 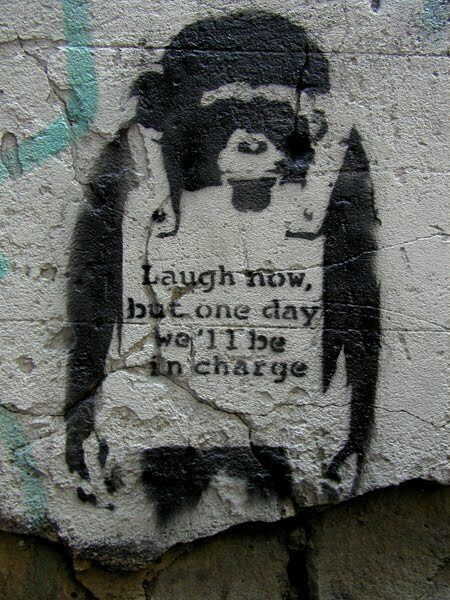 "BANKSY." SWINDLE (2008). Gregory, Paul Johnson. 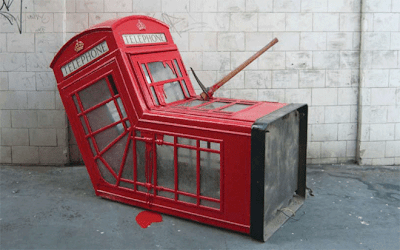 "Banksy British Graffiti Artist Creates Art with a Social Message." (2009). Krimper, Michael. "The Rise of Street Art -Vandalism without a Face." Hydra (2010). Parry, Nigel. "Well-known UK graffiti artist Banksy hacks the Wall." The Electronic Intifada (2005). Wright, Steve. Bansy's Bristol. Bristol: Last Gasp, 2009. Han Van Meegeren - "the Forger who Swindled the Nazis"
I understand that the point of this exercise is to encourage us to look at art, to be inspired by art, to get new ideas for our own works and, most importantly, to learn from those who excel in this discipline. Well, my entry will at first seem to be different. When I was thinking about what artist I wanted to devote my time and attention to, one name came to mind – Han Van Meegeren. Being a philosophy minor, I frequently get dragged into conversations about the nature of things by my philosophically oriented friends. Van Meegeren’s story was told to me by a friend who was investigating a question of what is art. It challenged my opinion of “good art” and forced to consider and evaluate works of art by looking beyond the name in the corner. After all, Van Meegeren is one of the most ingenious art forgers in history! Van Meegeren had quite a successful start of his artist career in the Hague, the cultural center of Holland. His exhibitions were sold out; members of high social circles were asking him to do their portraits; he was often traveling around Europe to visit most famous museums. Below you can see a portrait of Van Meegeren’s first wife by his hand – it is over 30 inches in height! 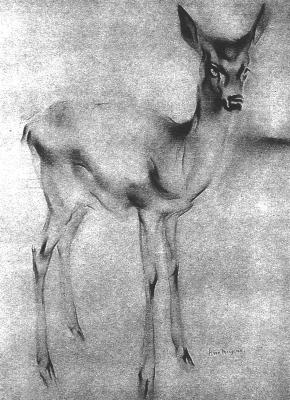 Here is his more popular drawing (and my favorite) by Van Meegeren that is not uncommon to see around Holland even these days – the Deer. Rumor has it he drew it when teaching a class, to impress his students. However, Van Meegeren’s talent was never destined to mature and these are not the works he is now famous for. Van Meegeren soon broke under the pressure of admiration and popularity – he took to drinking and promiscuity, which had a great toll on his work. Not only that, but also his choice of artist style – conforming to the methods of old artists rather than the highly praised at the time styles of cubism and surrealism - earned Van Meegeren reproach and lackluster reviews from the art critics. Not able to withstand the pain and refusing to succumb to a fate of a regular portraitist, Van Meegeren left Holland in search of appreciation and acknowledgement. He returned to Holland in 1939, when the Second World War broke out in Europe and started earning quite a fortune by dealing in art. Van Meegeren was not just a supporter of conservatism in his artist style – he was an outspoken anti-Semite, to the point of fascism. 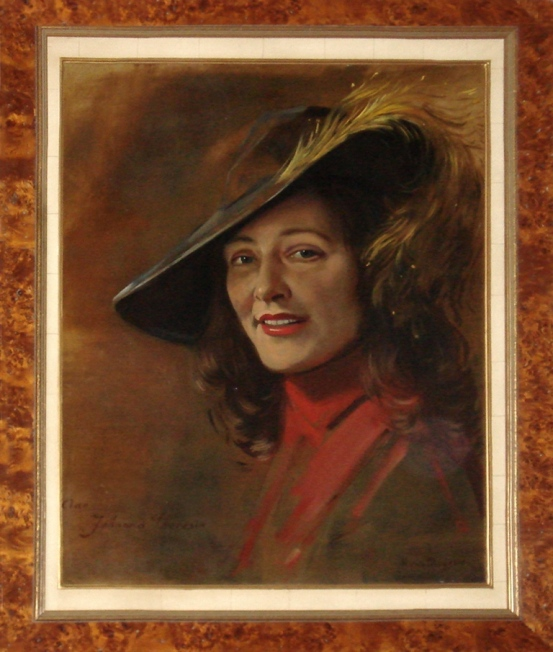 In 1945, after the liberation of Holland, it was discovered that Van Meegeren was selling famous paintings of Vermeer and de Hoogh – the artists that shaped the Dutch cultural history – to the Germans, a very high ranking officer Goering, to be exact. He sold him this work, that the officer later proudly displayed at his home. Van Meegeren was accused of being a collaborator with the enemy and it was death that awaited him at the end of the trial. It was then when Van Meegeren confessed that the works did not belong to the Dutch national treasures – they were of his own hand. 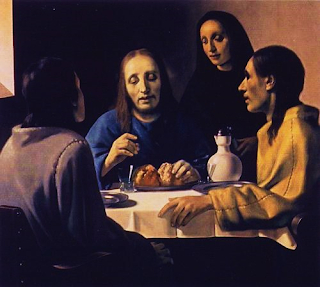 Below is a very famous painting called “The Supper at Emmaus.” For a long time, it was considered to be one of Vermeer’s best works; the peak of his Biblical phase. It’s a complex and a very captivating work - a very carefully balanced, calm scene reminds us of what we often see in Vermeer’s works. This painting, offered by Van Meegeren to the biggest specialist of the Dutch baroque art as a previously unknown work of Vermeer, was sold for what now would be over 6 million dollars. The same authority claimed that it was truly “a masterpiece” of Vermeer’s genius. 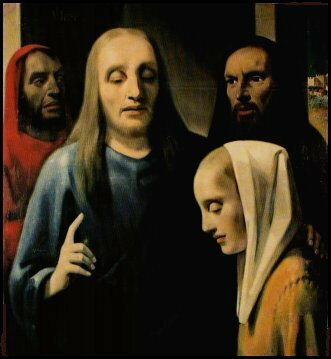 Little did he know that it was not Vermeer, but van Meegeren who authored the painting, alongside a number of other Biblically themed works, which were also taken to be Vermeer’s. The confession at van Meegeren’s trial startled the world – the critics refused to believe him and forced him to produce a painting in the same style in front of the authorities. This is what he came up with. Yet, it was not this work, but a thorough chemical investigation of the paintings that revealed the truth about the forgeries. Van Meegeren was then sentenced to a year in prison for deception and fraud. His death followed soon afterward. Van Meegeren truly hated modern art. He considered it childish and undeserving of true recognition. And it was the hostile reception of his chosen style by the critics that forced the forger to give up his name and pretend to be somebody else – and he perfected it. And he gained fame! Van Meegeren’s story may be unique, but the conclusions we could draw from it about how superficial and faulty the “evaluation” of art can be are valid even today. Van Meegeren attempted to find his niche in the world of art, but was rejected for not conforming to what was new and fashionable and accepted by the critics. Lopez, J. (2008). The Man Who Made Vermeers: Unvarnishing the Legend of Master Forger Han van Meegeren. Orlando: Harcourt, Inc.
Meulenhoff, J. (1949). Van Meegeren's Faked Vermeers and De Hooghs. Amsterdam: Dr. P. B. Coremans. Wynne, F. (2006). 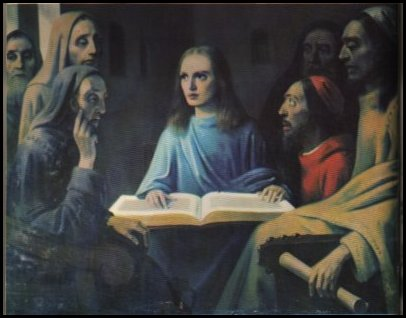 I Was Vermeer: the Legend of the Forger Who Swindled the Nazis. Edinburgh: Bloomsbury. 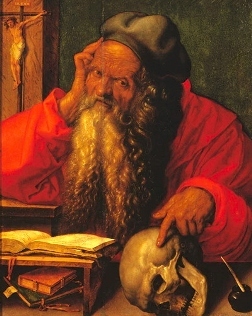 German artist Albrecht Dürer was born in Nuremberg on May 21, 1471. His father was Hungarian, coming to Nuremberg to apprentice a goldsmith, later marrying his master’s daughter. Albrecht became the apprentice to his father and became quite skilled; however, he sought more. He asked to enter the workshop of a painter and in November of 1486 was apprenticed to a prominent painter in Nuremberg, Michael Wolgemut. He receives instruction in many branches of art and soon becomes influenced by drawings and prints of artists outside of Nuremberg. This influence sparks curiosity about the world of art outside of his native area, ultimately leading to his journey through much of Eastern, and later, Western Europe. He begins illustrating for many publishers and later, in 1494, gets married-though it is said he “outgrew the intellectual level and social sphere of his wife”. Dürer’s interest in art and philosophy outside of Northern Europe draws him to Italy, where his close friend Willibald Pirckheimer is studying at Pavia. 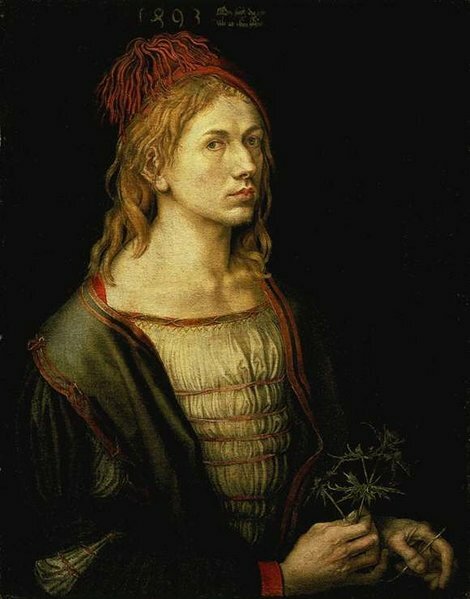 At this time, the arts and philosophy were experiencing a return to classical antiquity, and Dürer felt that German artists should participate in what was going on in this so called regrowth, termed “wiederwachsung” in German. This was followed by some of his most productive years in terms of number of works produced. He created an altarpiece for the altar of Our Lady at the National Church San Bartolomeo, and continued making lengthy trips to Italy. It is even said that while“he was honored by his German friends and by Venetian nobility, [he was] much envied by his fellow Italian artists” (Panofsky 6). In 1512 he was employed by Emperor Maximilian I, though when the Emperor dies in January of 1519 he returns home. 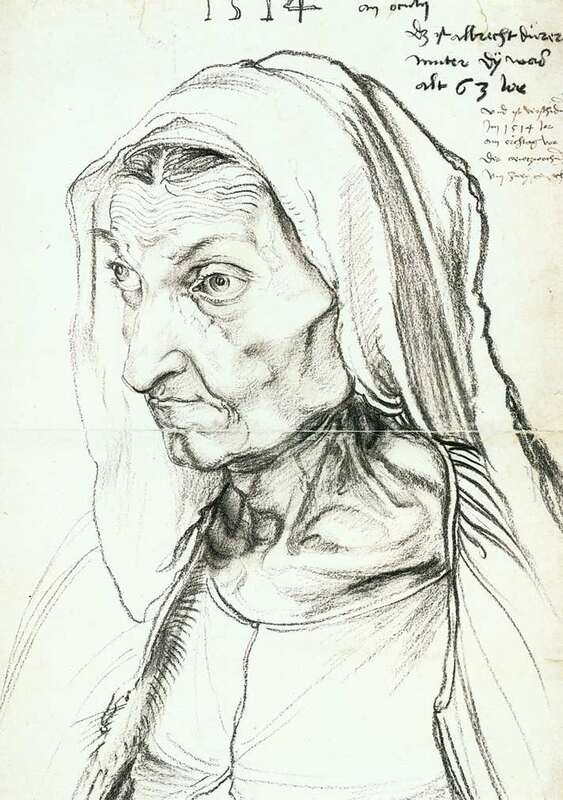 In these years, Dürer becomes what art historians deem an “erudite” artist - he fully participates in intellectual movements of the period, engaging with scholars and scientists, not limiting himself to his artwork. In this manner, it is true that Dürer was “insatiably interested in every curious thing produced by man or nature” (Panofsky 10). However, upon attempting to view a beached whale in the swamps of Zeeland, Dürer contracts malarial fever and passes away on April 6, 1528. 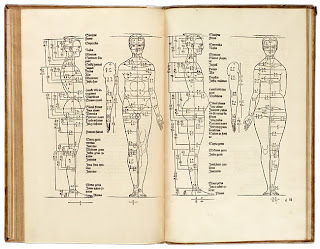 “more than six dozen paintings, more than a hundred engravings, about two hundred and fifty woodcuts, more than a thousand drawings, and three printed books on geometry, fortification and the theory of human proportions, the last of which appeared about six months after his death” (10 Panofsky). 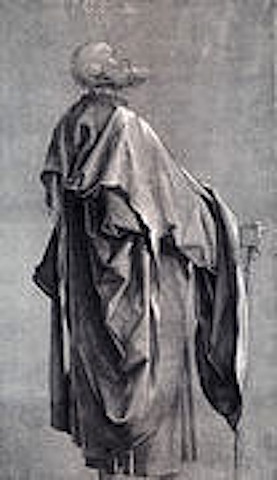 Though many know Dürer for his famous Hands of an Apostle, also known as The Praying Hands, which is a 1508 sketch for an altarpiece commissioned by Jakob Heller (see image), I would like to present some of his other works. 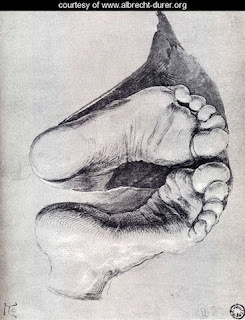 Dürer's drawings evoke a certain austerity and beauty which seems to be evident throughout the body of his work. Panofsky, Erwin. The Life and Art of Albrecht Dürer. Princeton, NJ: Princeton UP, 1945, Print. Russell, Francis. The World of Dürer 1471-1528. NY: Time, 1967. Print.